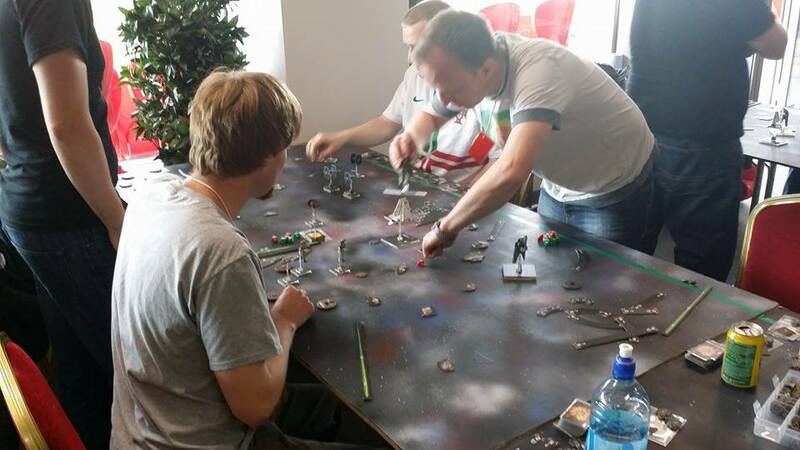 Thanks to all those who took part in Conclave 2014's X-Wing Tournament, especially to those who travelled! The tournament was fought over 5 rounds & came right down to the wire in the final round, with a possibility of 4 different winners dependent of how results went! Even with this very competitive outcome the games were still fought in genuine good spirit & gentlemanliness (as all x-wing matches seem to go). There was not one single gripe or rules argument brought to me throughout the whole day! There was also a great variety in the lists used, which also was good to see; from Tie Swarms to Shuttle & multi-Bounty Hunter combos & B-Wing heavy hitters to X-Wing & Y-Wing mixes. Thanks again to all those who came to play & i'll see you next time! Now for a rules pack more anticipated than the millennium! Prior to the beginning of the game each player will get a random secret objective worth an additional 3vps. These won't be revealed to the opponent until the end of the game. HIGHLANDER RULE – There Can Be Only One! This year’s event will be a 1000 point 40k Highlander tournament with the following special limitations. There is no unit duplication allowed, not even dedicated transports. Units like IG Priests and Blood Angel priests who come multiples for one slot are also limited to one per army. Units like land raiders count as being the same, so one godhammer or one redeemer or one crusader. Transports cannot be duplicated either. Vehicle Squadrons are restricted to one model per unit. You may bring forgeworld to this event, but you are required to use the official model and supply the rules. Forge world units taken in this event but must also be standard force organization choices for the army you are using. Forge World army lists are permitted provided all of the previous restrictions are observed. ADDITIONALLY: NO Wave 4 ships are to be used. Some people may have gained access to these via Pre-release Events etc, but in the interests of fairness only pre-Wave 4 ships shall be allowed.